The California Rare Fruit Growers, West Los Angeles Chapter, are people just like you… only probably with a little more dirt under their fingernails. In backyards, front yards and pots, we are pushing the boundaries of what it is possible to grow west of La Cienega. 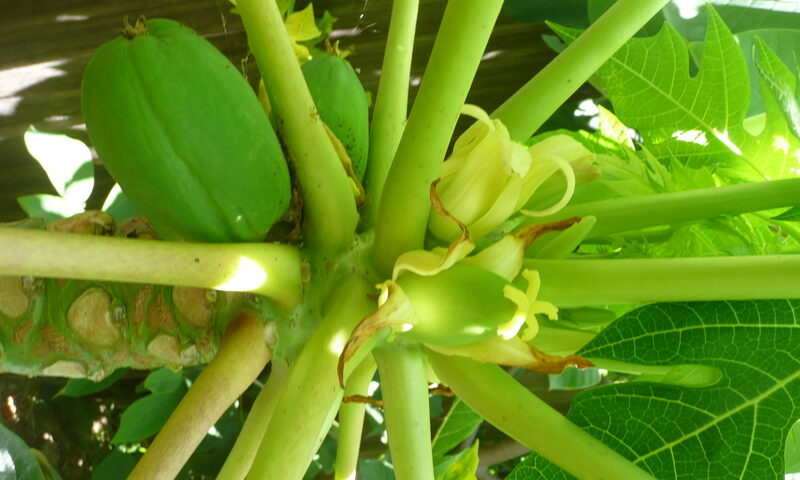 Our membership includes some of the great authorities on propagating cherimoyas, grafting guavas and growing thirty different varieties of blueberries… We also include beekeepers, worm herders, compost churners; and welcome all others — even those just starting out — who want to learn exactly how it’s done. PS. If you live east of La Cienega or anywhere else, you are of course also welcome. It is just that the West LA Chapter tends to battle issues like “did we have ANY sun last summer?” and “did we have ANY winter this winter?” more than zones less affected by the nearness of the ocean. Meeting April 13th @ 10 am: Ray Teurman on Bees! This is a large beautiful building and is hard to miss. It’s on the southwest corner of Overland Avenue and Culver Boulevard. This map will help you find parking plus our meeting room. One of the most fascinating topics for our chapter’s members is this: what can we grow most successfully in our ocean-mediated micro-climates? In an attempt to clarify that, we are asking for photos of precisely what you have fruiting at any given time. 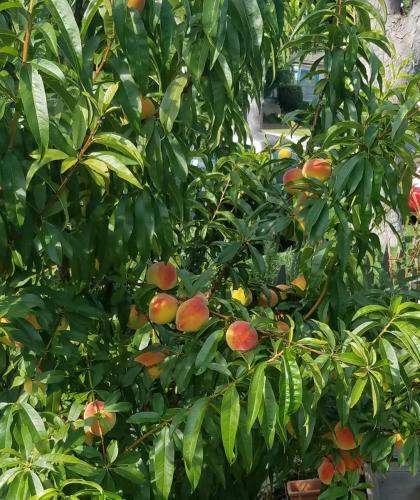 Please attach to your images (sent to Contact Us) as much as you know about the species, variety and cultivar that is currently bearing, your zip code and the month in which the photo was taken. If you can remember where you obtained said plant, that would definitely be bonus! For example, the image above is a muntingia calabura (aka cotton candy tree). 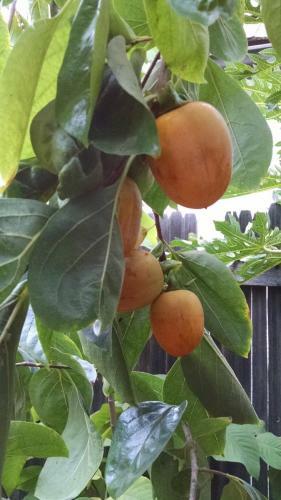 The fruit is getting ready to ripen in zip code 90402 and it was purchased as a 2″ plant from Logee’s about 3-4 years ago. See, that wasn’t hard! If enough of us do this, we can produce a whole visual calendar of what is possible even with no summer. Check out what we have so far. Remember, this is just a work in progress. We need your pix! At the suggestion of Juanita Withrow, WLA Chapter Board Member & Social Media Expert par excellence, we are adding links to organizations or vendors discussed at each of our meetings. Click here for what came up on September 9th. And here for what came up on October 14th.